Samsung is getting word out that it will be making a major announcement and unveiling its newest Galaxy device on August 15th. Most likely we will see the introduction of the Samsung GALAXY Note II. A sequel to the phablet is expected to feature a slightly larger 5.5 inch WSXGA+ (1680x1050) Super AMOLED display, an 8MP rear-facing camera, 1.5GB RAM, S Beam, S Voice, NFC, and LTE connectivity. As we reported on Friday, a GLBenchmark test might have revealed an overlclocked quad-core Exynos 4412 for the phablet II. 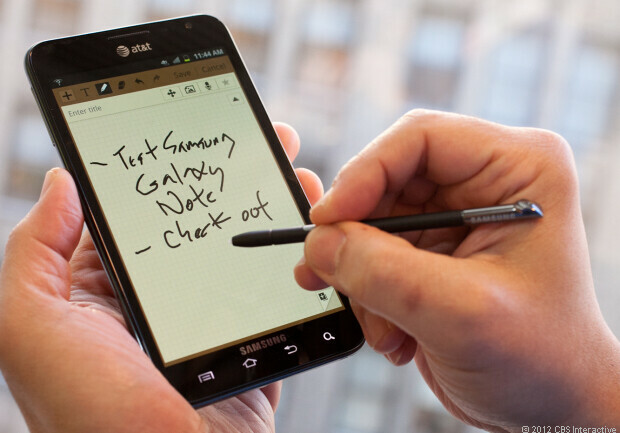 The Samsung GALAXY Note II is allegedly penciled in for an October launch. 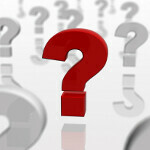 Will Samsung announce the Samsung GALAXY Note II on August 15th? Another possibility is a new Samsung GALAXY Tab. The Samsung GALAXY Tab 10.1 is currently under a preliminary injunction and while the Samsung GALAXY 2 (10.1) has been already been launched, most recently in Canada, it might be time for a GALAXY Tab device with a 10 inch screen that might be litigation-proof. With nearly a month before the announcement, perhaps we will learn more before Samsung removes the wrapping on the next Galaxy branded device. What are you hoping it will be? You can let us know by responding in the box below. According to Android Authority, the device Samsung will announce is not a phone and they suggest that the Samsung GALAXY Note II will be introduced at a Samsung Unpacked event scheduled close to the opening of this year's IFA conference; in addition, 9to5Google says that because the announcement came from Samsung Electronics America not Samsung Telecommunications America (the division that usually announces phones), we're looking at the launch of a tablet. One guess: The Samsung GALAXY Note 10.1. Its going to be the Samsung Galaxy F. It will have a 2.6 inch QCIF rissistive touch screen, a 400 MHZ processor a VGA camera and run on Android 2.1.... lol JK, well I hope if it is the nexte GNote device, it has the specs PhoneArena listed because 1050 is basically..... just 1080p with a difference of 30 pixels. I can't fathom a device of that magnitude....Awe galaxygasm!!! Hehe..
its Samsung not Sony :p ! I was talking about the specs (QCIF and 400Mhz) :p Samsung can't be as stupid as Sony is specs wise! lol Watch it! You may be correct but don't be dissin' Sony! Samsung innovative never stop and Apple Patent Wars never stop either. Go Samsung plastic outside but inside nobody can beat. is 1.5 GB RAM really possible? I mean, I've never heard of such. 256 - 512 - 768 - 1028 - 2056 then so forth? 4GB then 8,16? and even so, why settle with 1.5 when 2GB devices already exist? I think that's just cause Android (and mobile as a whole) doesn't have the technology for a proper paging file system. The only reason why PC's RAM access shows the full amount is because that's about how much a paging file is created by default since Vista and later came into the picture. They can put essential functions into the paging and larger applications once the RAM has been completely used can also access w/e paging is left. This can cause a drop in system performance and is changeable by the user if he wishes. There isn't really a proper paging system in place for mobile OS's normally from what ive seen which causes parts of the OS that needs the space to always sit in the RAM. It seems that they only allocate the internal storage for actually holding the OS and that's it. IF I'm wrong please correct me "preferably with facts" so that I can adjust that theory but that's just been my experience as ive never seen any type of "paging" access anywhere on Android file system. that's a profound RAM explanation. hahaha. As long the RAM does what it needs to do. WORK!! Everything in this article is speculation.. 1.5GB of ram is possible but Samsung won't release a device with 1.5GB of ram. It will either come with 1GB or 2GB of RAM. i cannot wait any further! I will be a GALAXY Note II. But i think it won't be that much diffrent than the Galaxy S III in terms of UI and Features ( S voice, S beam ect..) and maybe have the same design and build quality. Only the hardware will be an extra upgrade. I think !? It'll definitely be the "New NOTE", with as many bugs as the original. What bugs in the current GNote? I have one and it runs great. I have placed other roms that do smooth somethings out or make the camera better. However, I don't seem to find any "bugs". Just release this on Sprint and I'll have an excuse not to have to wait for the next Nexus device...Gimme some Note! So the article says it's not a phone, but then says most likely it is a phone. I hate the stupid "phablet" name. It's just a large phone. 10.1 tablet with exynos processor.